The Rotary is a real street/dirt mountain bike disc brake SS hub (135/10) using pure BMX technology. 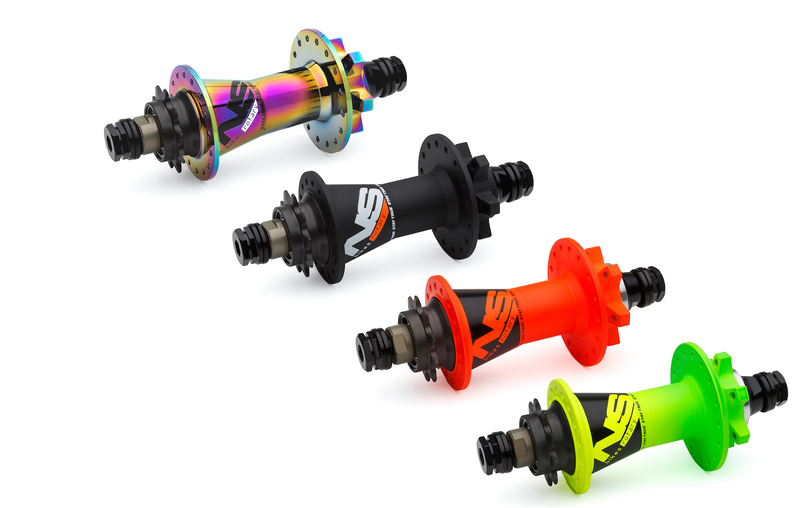 Say no to the heavy hubs taken straight from BMX catalogues with tiny & weak driver bearings & weak 3/8"-10mm axles. The Rotary hub is so light because we decided to shave any unnecessary weight to the limit without sacrificing the strength at all. Instead of a long and weak 3/8” axle we used a bigger diameter AL7075-T6 axle & steel hardware on the drive side to make it almost indestructible. Aluminium axle was slightly redesigned to make it stronger than before, allowing perfect hub rolling long-life, no slowing down even overtightened. No more adjusting, no more unscrewing or stripped cone nuts - they are slip-on. No external threads to damage. Hollow 3/8” bolts with 17mm hex heads & 8mm Allen hex sockets will fully immobilise your wheel in the dropouts. The driver runs on a bushing eliminating the need to use tiny and week bearings. It’s strong as hell and run smooth. Starting from 2013 Rotary Single Pro features an upgraded driver with separate springs for each pawl: 4 pawls, 4 springs. Engagement is really good – this hub won’t skip. Please also note that we added one special feature you were asking for - this hub is really loud! 9T driver instead of 10T.